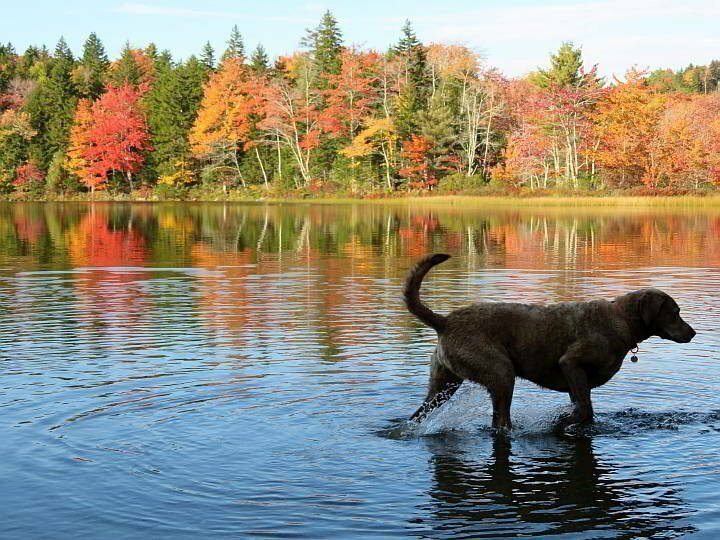 When is the BEST time to see fall colors in Maine? A lot of people will tell you that fall is the best time to visit Maine so I’m lucky that I got to road trip around the coast of Maine in autumn for a whole month. 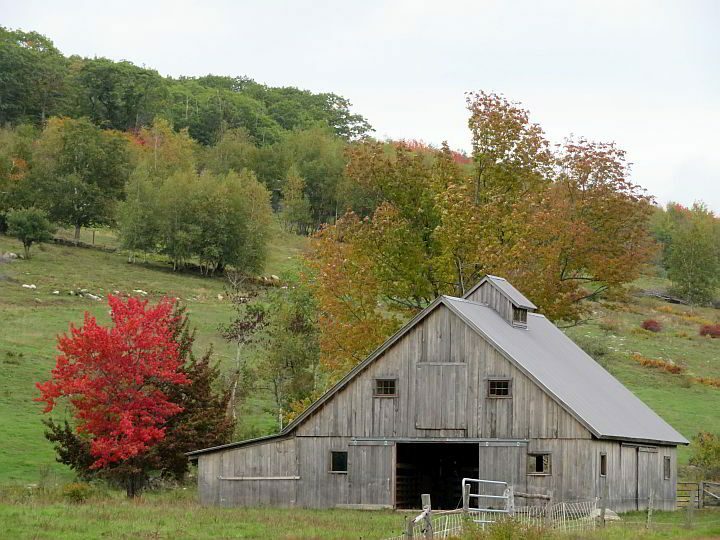 The best month to see the fall foliage in New England area is October. 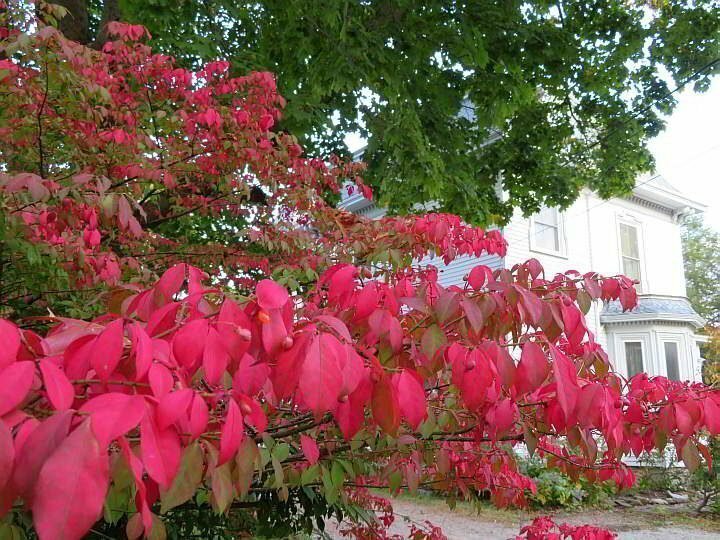 Of course, the time to see peak fall colors varies each year but the first two weeks of October are a good bet for seeing peak autumn foliage in Maine. 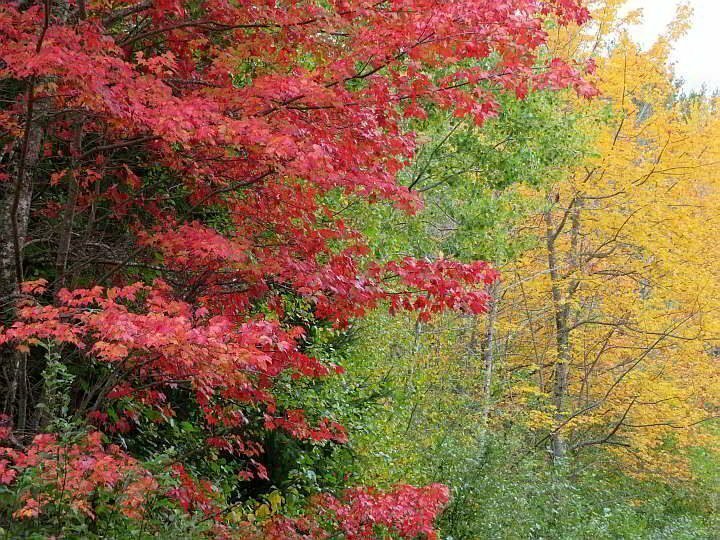 If you are planning on driving to Maine and have some flexibility then you should check the fall foliage maps. There you can find a fall color map indicating what percentage of fall leaves have turned. 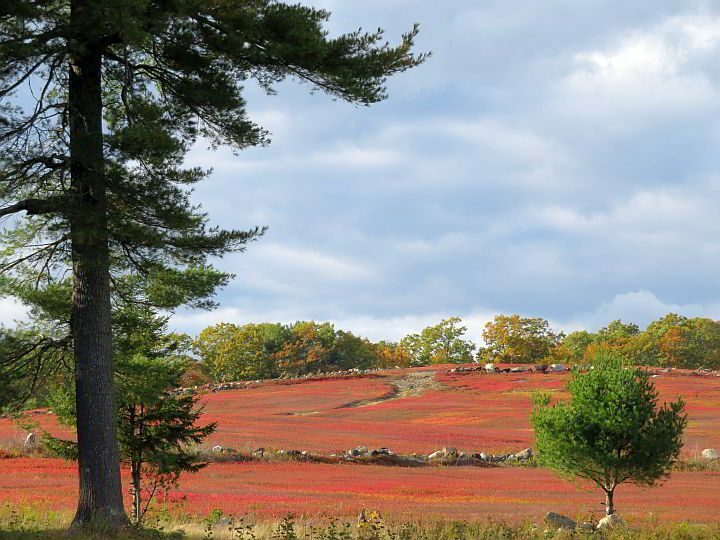 They provide a weekly fall foliage report to help you best plan the timing of your trip to Maine. 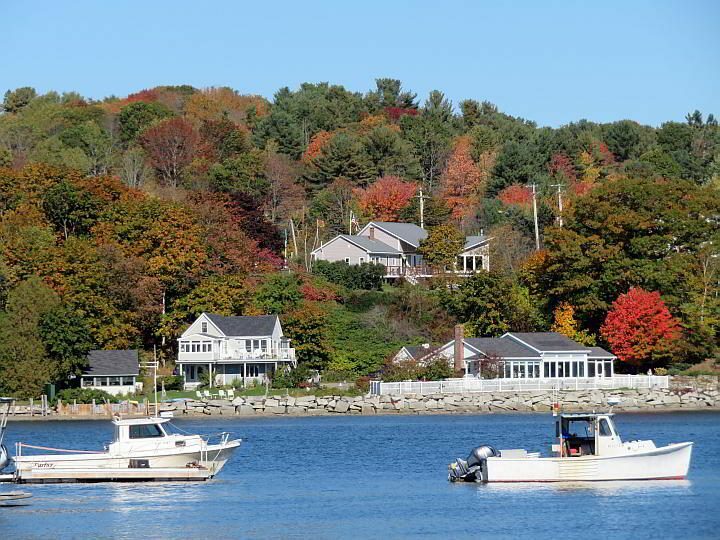 You’ll notice on any foliage map that the coastal region is the last area in Maine to reach peak fall colors. 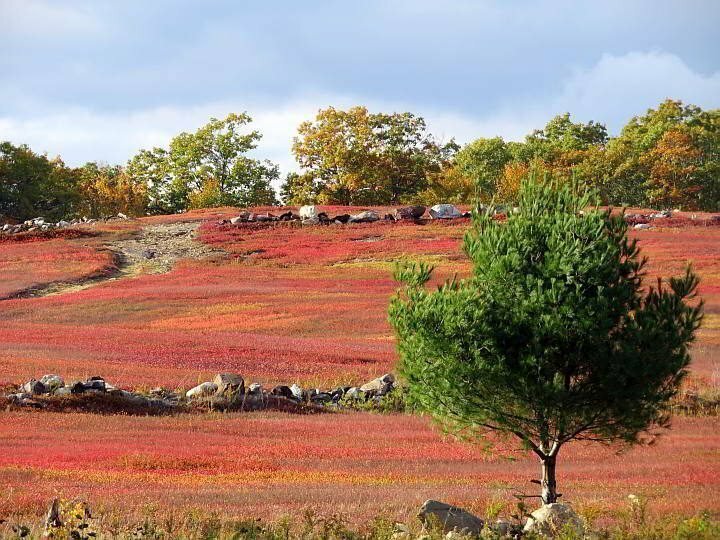 Typically the northern inland areas of Maine reach peak colors first and gradually it shifts south, except for the coast of Maine. The biggest airport in Maine, Portland International Jetport, is located just a few miles from downtown Portland, on the southern coast of Maine. The airport code is PWM. The major American airlines flying into Portland Maine are: American, Delta, and United. If you are driving from New York City it’s 315 miles to Portland Maine, about a 5 hour drive. And driving from Philadelphia to Portland is 400 miles and takes about 6 hours 30 minutes. Boston to Portland Maine is 110 miles and takes about 1 hour 45 minutes to drive. 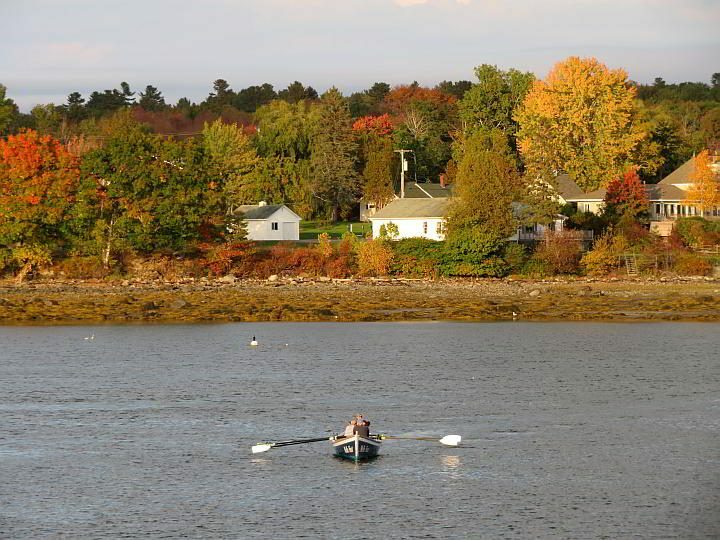 I think the midcoast area is the best place to stay in Maine because then you have the option to travel in four different directions – of course if you go east it is via boat! If you are flying into Portland (PWM) then it may make sense to stay in Portland for a night, then head north. How Many Days for a Maine Road Trip? 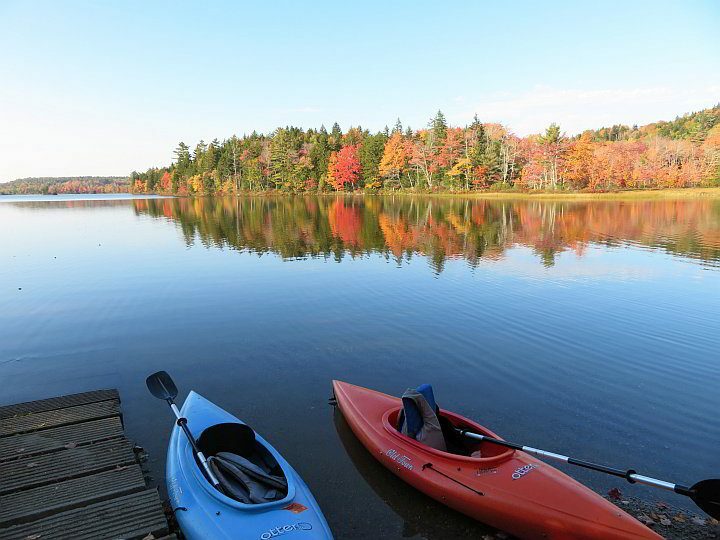 You can do a lot on a long weekend road trip in Maine. But how long you spend in Maine depends on where you want to explore. 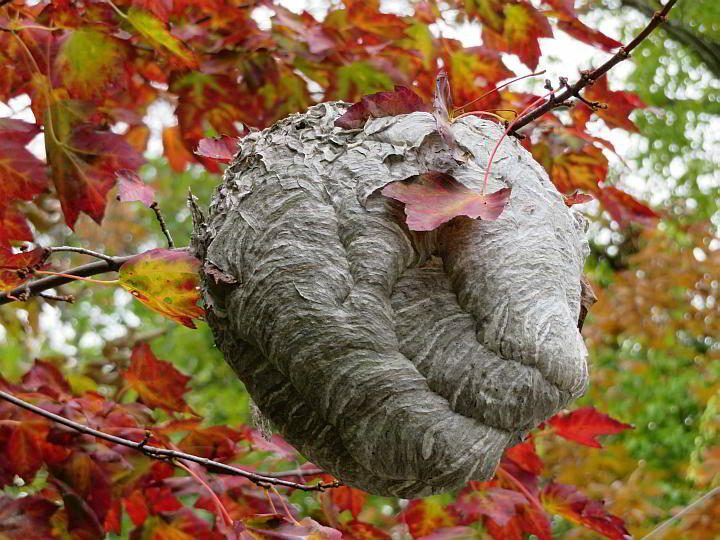 If you want to visit both coastal and inland areas, then you need at least 3 to 4 days in Maine but preferably a week. 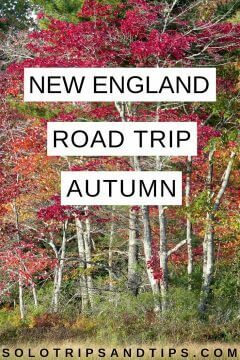 If you just want to see the fall colors and you are pressed for time you could do a 1 or 2 day road trip through Maine, but why rush? 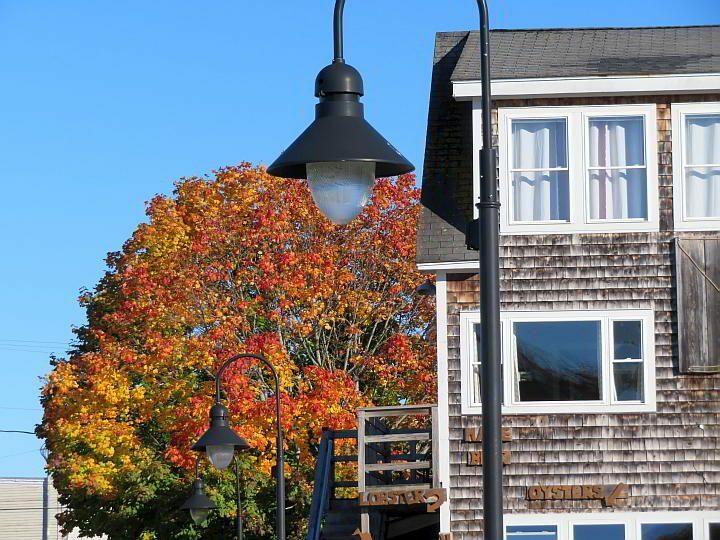 Many people focus on driving the Maine coastline because of the beautiful scenery, picturesque small towns and harbors, abundant seafood, boating opportunities, and the ease of planning and organizing such a trip. Highway 1 goes from Fort Kent Maine all the way down the east coast to Key West Florida! As you can see from the information below, the driving times for the more scenic coastal route on Hwy 1 will take a little longer. I much prefer a slower but scenic road trip than taking the interstate highways. But if you are short on time or want to stop in to visit Augusta, the capital of Maine, it makes sense to take interstate I-95 rather than scenic highway 1. 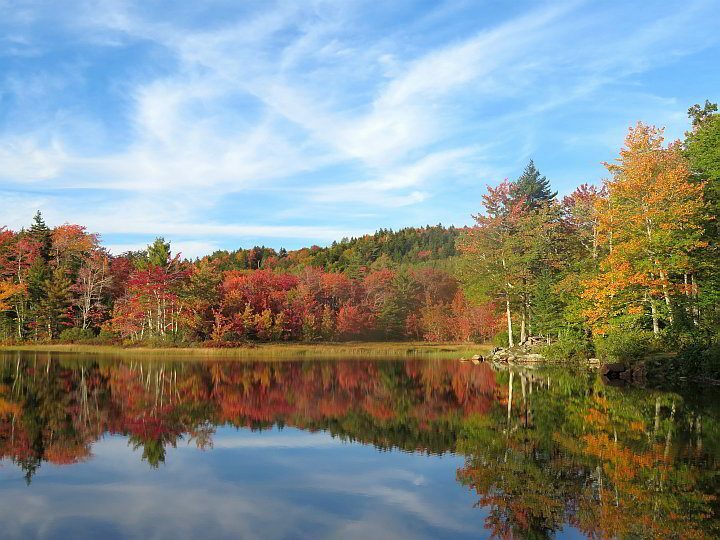 Some of the best places to see fall foliage in Maine are along the water, small lakes or ponds provide stunning reflections of the fall leaves. 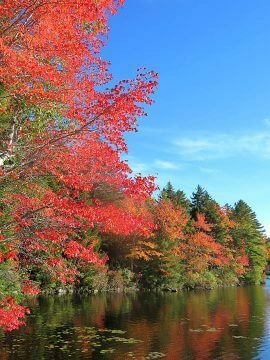 As you can see in my photos from a kayaking trip at Knights Pond, near Belfast Maine, the pond reflects a mirror image of the autumn foliage. 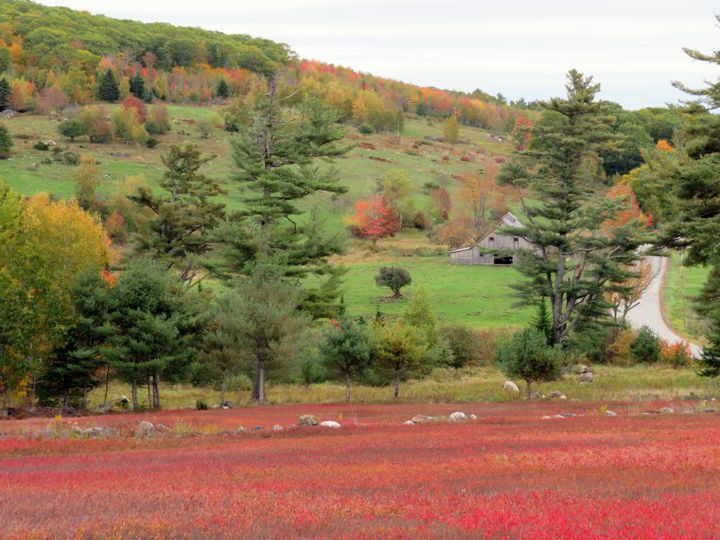 Another great place for leaf peeping is up on a mountaintop. Go hiking up the Scenic Lookout at Camden State Park for panoramic views or take the scenic drive to Cadillac Mountain in Acadia National Park. Note that fog and clouds are something to consider with New England climate, so check the weather reports for Bar Harbor and Acadia National Park. I thought I would get to see the beautiful views from Cadillac Mountain, but clouds totally obscured the view. I took a hike around Jordan Pond instead and consoled myself with a delicious lunch of scallops and popovers at Jordan Pond House restaurant. What else is there to do in Maine? Plenty! 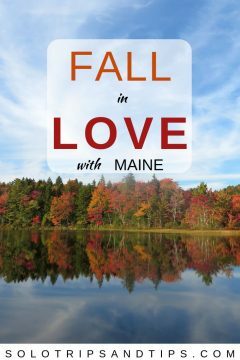 Maine is wonderful for outdoor activities from fishing and boating to hiking and mushroom foraging. Fall is the perfect time to sample some of Maine’s delicious apple cider. 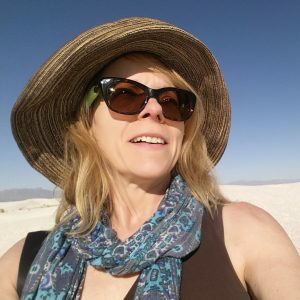 After staying in midcoast Maine I wrote about all the things to do in Belfast Maine, which also includes several fun day trips along the coast. There are lots of places to see on a coastal road trip with all the quaint small towns along the way. You can also go camping or hiking at Camden Hills State Park. Explore beautiful Acadia National Park near Bar Harbor. 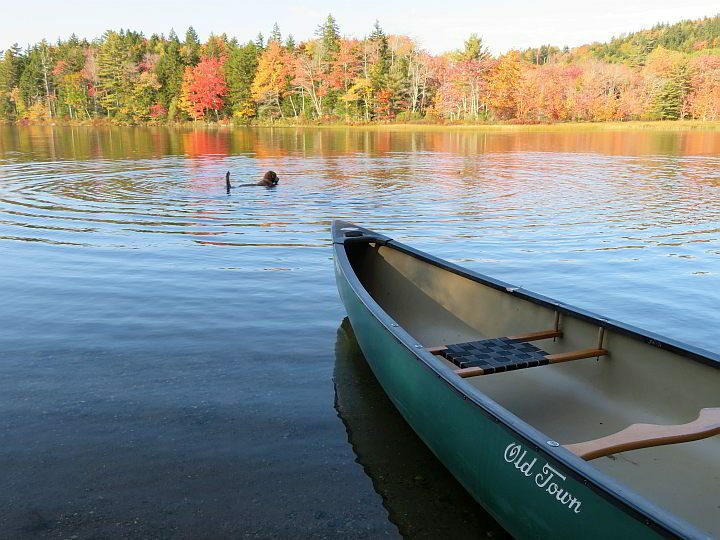 You’ll find there are lots of fun things to do in Maine while on your fall foliage tour.